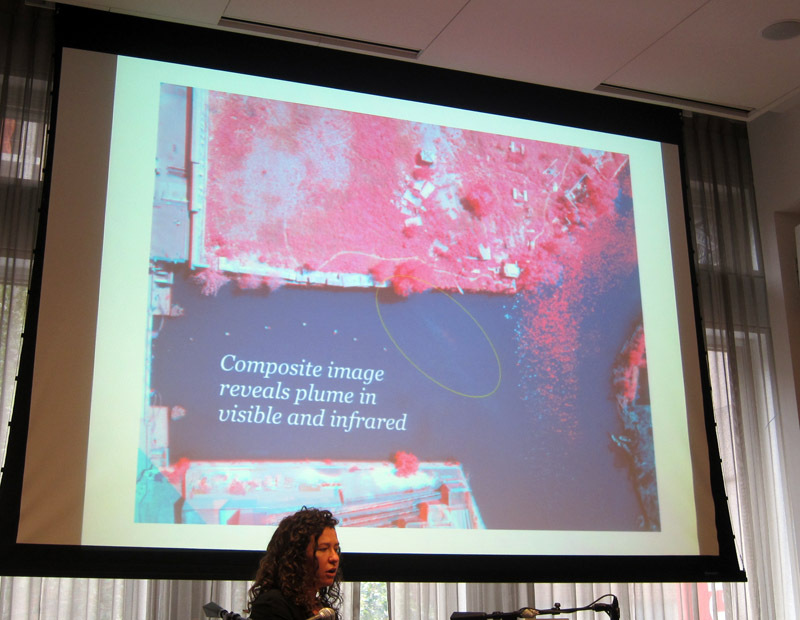 The Rigorously Unprofessional session at Mobilityshifts featured two really impressive projects, Public Laboratory for Open Technology and Science (PLOTS) and Treekit. Activists are using the tools and methods developed by PLOTS to find out more about the sources of pollution that is constantly accumulating in Gowanus Canal in Brooklyn. One of the key tools is balloon mapping, which is used during different seasons of the year to shoot high resolution aerial images of the area. There is also a tool for shooting infrared imagery. By comparing various images, activists have been able to identify a large number of pipelines which are not monitored by any authorities, in fact no one seems to knows what they are and what is coming out from them. Liz Barry spoke of ‘environmental headhunting’ – that these images could be used as legal evidence against corporations and other polluters. Liz also wanted to emphasise that there is a difference between crowd-sourcing projects that have been initiated by companies and public authorities, and citizen science projects in which the agenda is set by people themselves. The tools created by PLOTS can be used for all kinds of purposes, even to purposes that the creators of these tools would not want to support. This was discussed often during Mobilityshifts conference – how citizen efforts can be re-appropriated to work against them. 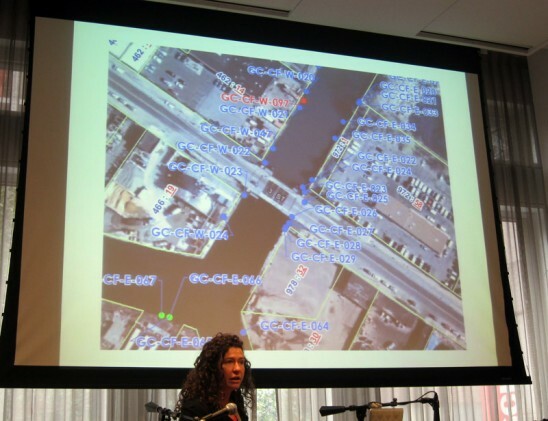 Suspected pipelines found by activists in Govanus Canal. The one marked with red colour is the only one that the city authorities have information about. The Treekit project has created tools for mapping the exact locations and gathering other useful information about trees that grow in cities. In New York these tools have been used by local people and the resulting dataset is much more comprehensive and accurate than what the park authorities themselves had before. 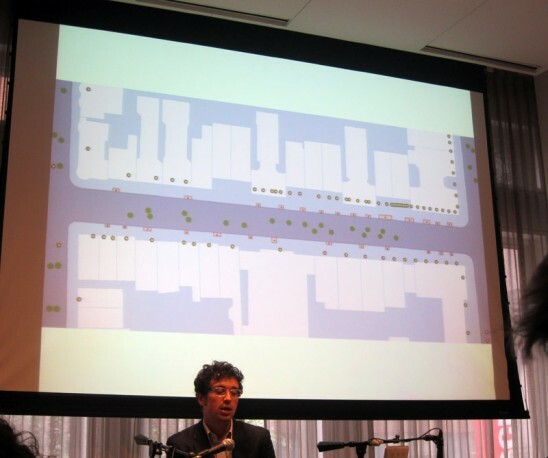 The point of this activity is not just to gather information – the main point is that trees in urban context need nurturing, that someone has to take care of them. In certain areas of NYC there is a lot of pollution in the air and the trees are struggling. Giving them water on a regular basis already helps, some people have started doing this by using big buckets. Healthier trees means healthier air for people to breath. Treekit is also connected to the ongoing milliontreesNYC project, with currently 499 517 donated, planted or adopted trees. An interesting discussion followed, related to the transformation that happens when people start using these tools. One could say that these tools allow ‘non-experts’ or ‘common people’ to become ‘experts’, ‘researchers’ or ‘designers’, but the whole idea of a ‘non-expert’ does not seem to make much sense. Phil Silva (Treekit) emphasised the importance of being allowed to make mistakes, that people can start doing things before they have learned all the details. To me it seems that instead of learning specific knowledge and expertise, the important thing that these projects can give people is a sense of confidence, a sense of authority, a belief that they can change their everyday surroundings. I guess this is what expertise in practice often is – confidence and authority. Possibly there’s ability to organize some kind of storages in a parks with buckets. And everyone could give water to trees when it’s needed (hot weather).